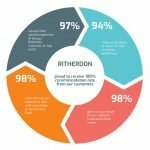 Stoke on Trent City Council learnt about the Ritherdon Atlas Retention Socket at this year’s Traffex exhibition. 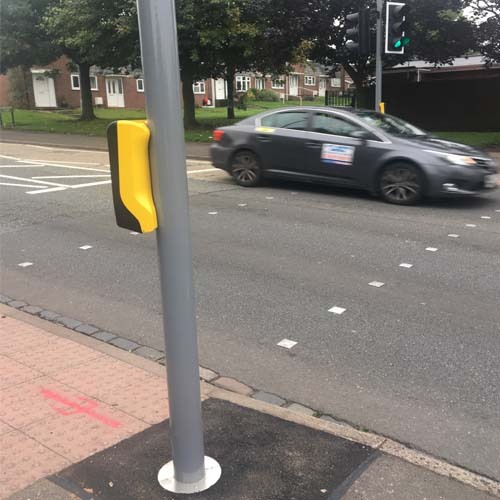 Working alongside Dynniq, they have carried out an installation for a traffic signal junction in Colclough Lane – Greenhill, near Stoke. 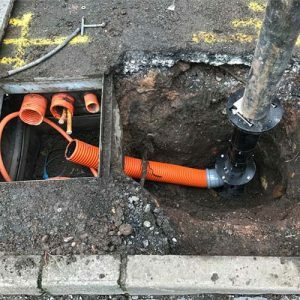 The Atlas Retention Socket has been designed and tested in-house by the Ritherdon design and engineering team. The Atlas is an alternative to a traditional installation of a pole in a concrete foundation. 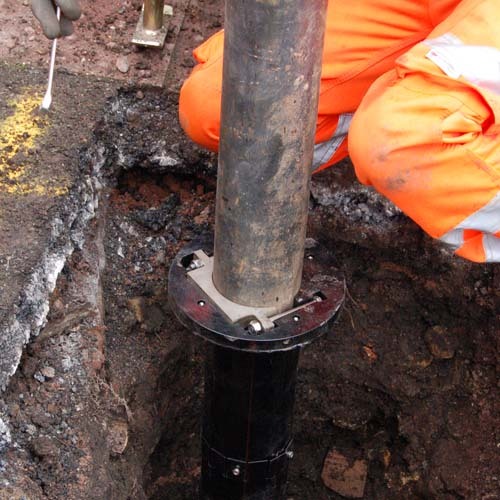 Installing a pole in an Atlas allows the pole to be accessible in the future for repair or for easy replacement. The clamping mechanism securely holds the pole in place. The unique gripping mechanism gives it a torque of 1400 Nm. Traffic signal junctions are prone to collisions and this one at Colclough Lane is no exception. Replacing a traffic signal post after an accident can be a costly and most importantly time-consuming. Excavating and replacing the traffic signal pole is a common disruption to motorists. 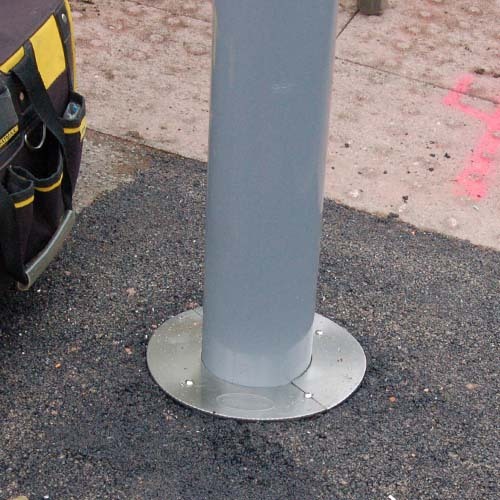 The use of an accessible fixture like the Atlas Retention Socket, allows the replacement of the traffic signal to be done faster, minimising disruption to road users. 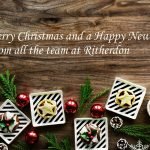 There is no need to excavate again. 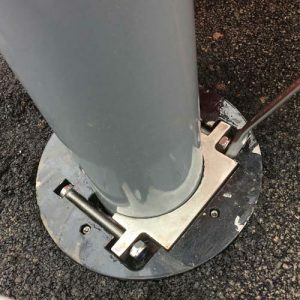 Simply remove the decorative plate, loosen the clamping mechanism with a spanner, and replace with the new pole. Ian Seabridge, Senior Engineer for Traffic Signals and ITS for Stoke on Trent City Council, commented that “the product gives a clean and professional finish which enhances the street scene”.